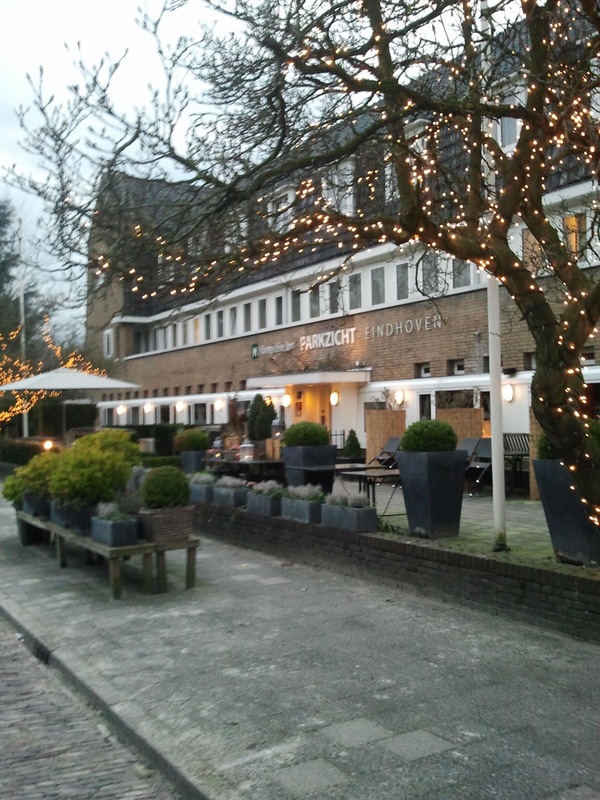 A five minute walk from the Parktheater, will take you to the restaurant called "Listers Parkzicht". 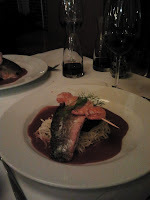 The restaurant serves a classical French cuisine. They offer two courses for €21,50 and 3 course menus (€24,50), and we were lucky, because we had a discount card for one free dinner! We received that card from the 4xvrij (which means four time for free). 4xvrij is a website, where you can get coupons with 50% off from different trips, so also for different restaurants. The dinner was absolutely delicious and the waiters were very kind! They had a full restaurant with guests who wanted to go to their musical in time and they did a really good job. We had a three course dinner in just 1,5 hour! We started with a delicious carpaccio with a very nice truffle cream (1). 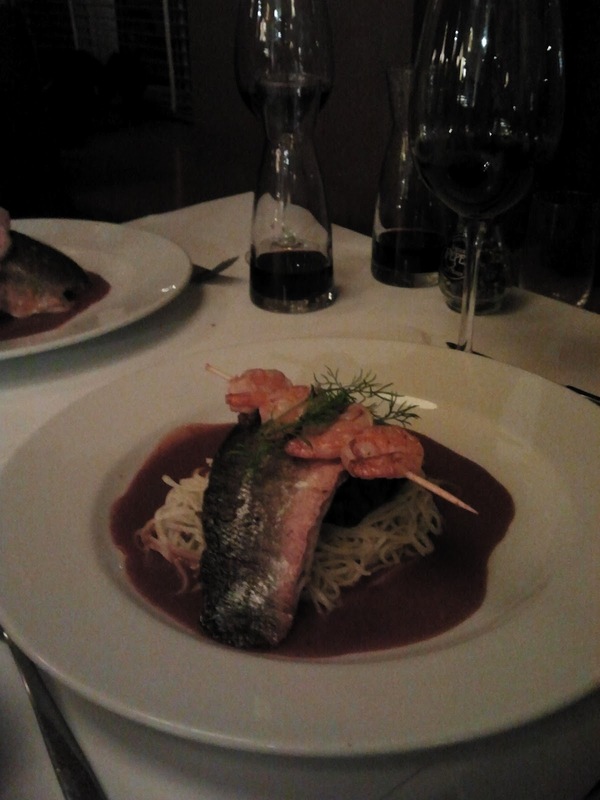 As main course, I had tartar (2) and the others had sea bass, scampi and spaghetinni(3). 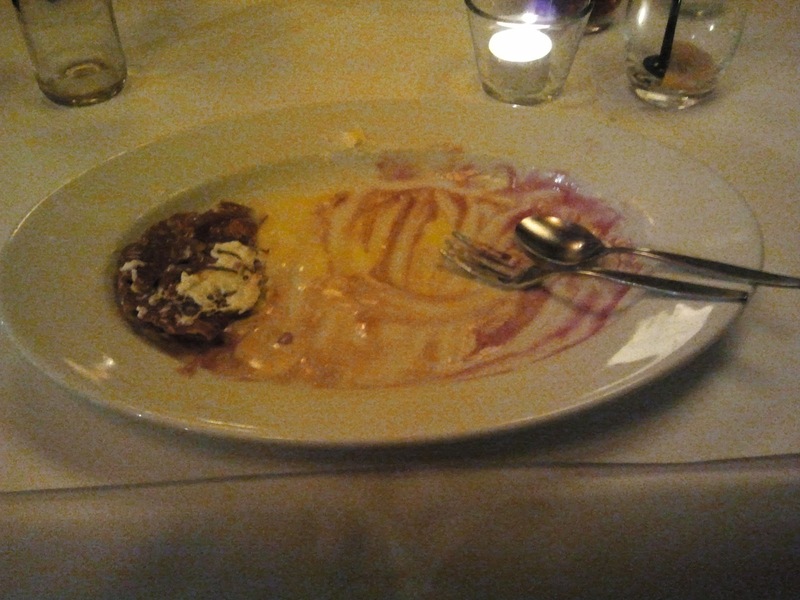 Unfortunately, we don't have a picture of our dessert (only an empty plate(4), because we couldn’t wait to eat it! 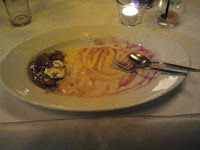 It was an ice cream with hot cherries. 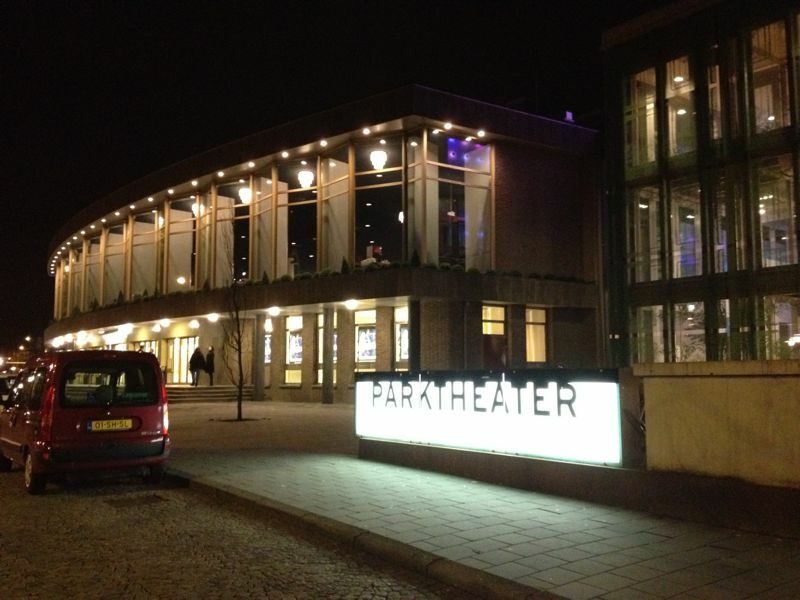 The Parktheater has recently been renovated and offers a variety of shows and entertainment productions. It’s a very modern building and it also has a really interesting design inside. 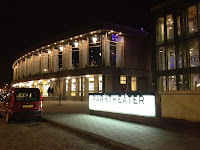 If you’re interested: Parktheater also organizes tours through the building. 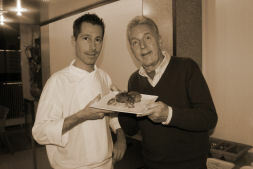 In this tour you will get the opportunity to be on stage and you will have a look behind the scenes. 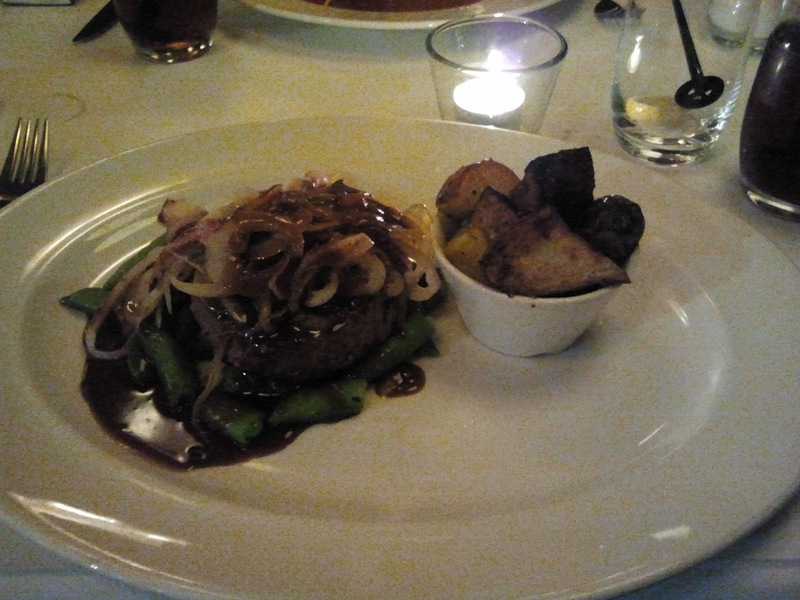 You could also choose to have dinner in the restaurant in the theatre itself, which is "Park&Pluche". 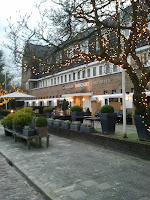 They offer a special theater diner for the visitors of the Parktheater. 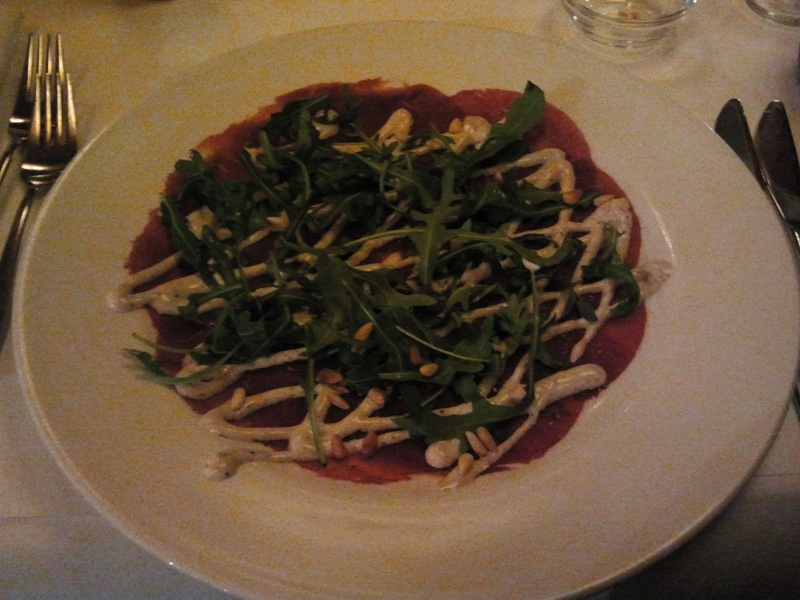 Park&Plushe has a special dish on the menu, which they call ‘the favorite recipe of …’ Every month, one of the famous artists, who performs in the Parktheater gives his/her favorite recipe. So for example in the month January, they had ‘the favorite recipe of André van Duin’(1), which was sprouts with bacon, potatoes and stew. 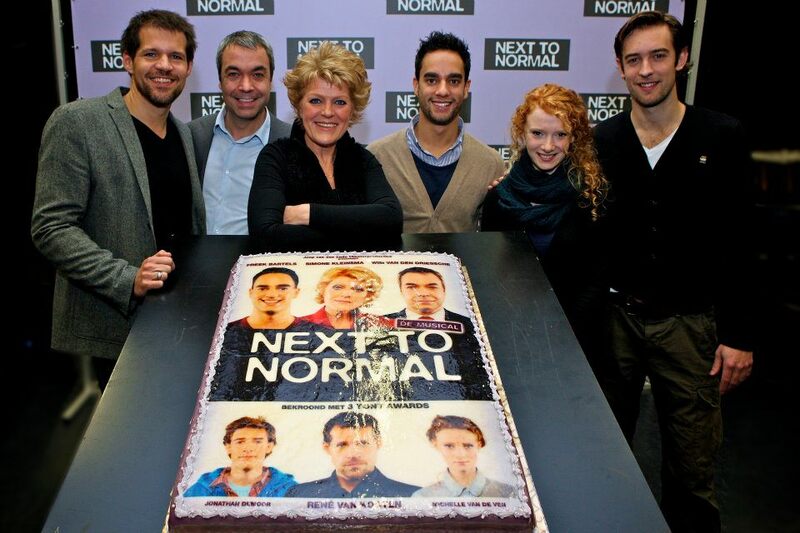 We saw the musical ‘next to normal’ in the Parktheater this evening (2). 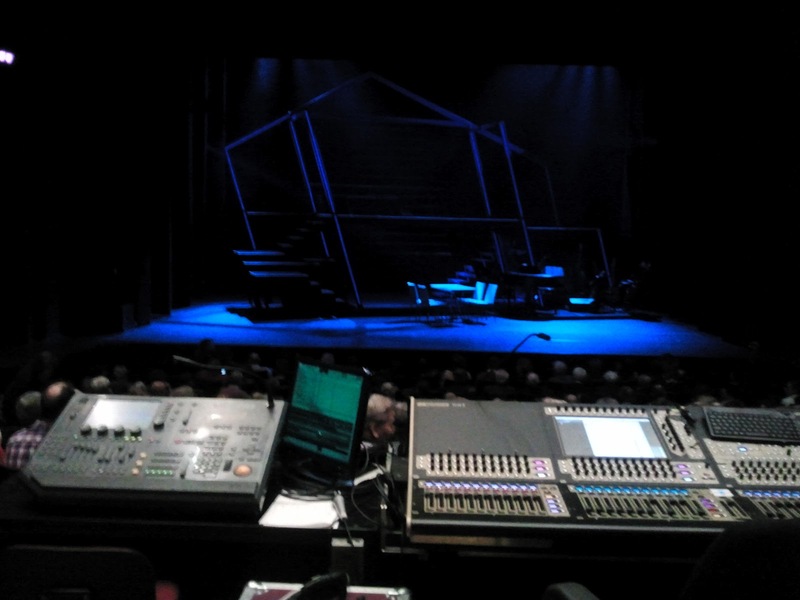 Top musical artists (3), like Simone Kleinsma, Freek Bartels and René van Kooten, performed in this musical. 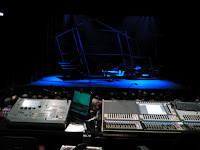 The musical had a very heavy story, about a mother (Simone Kleinsma) who suffers from depression. The musical was a big success on Broadway (3)! Budget tip: For students, the Parktheater has a very interesting offer. Students could buy a last-minute ticket on the day of the performance for just 12,50 euro. This offer applies to all performances (except when the performance is sold out) and the tickets are available half an hour before the performance starts. This is a very good offer if you compare this to a musical ticket which easily costs 40 euro.